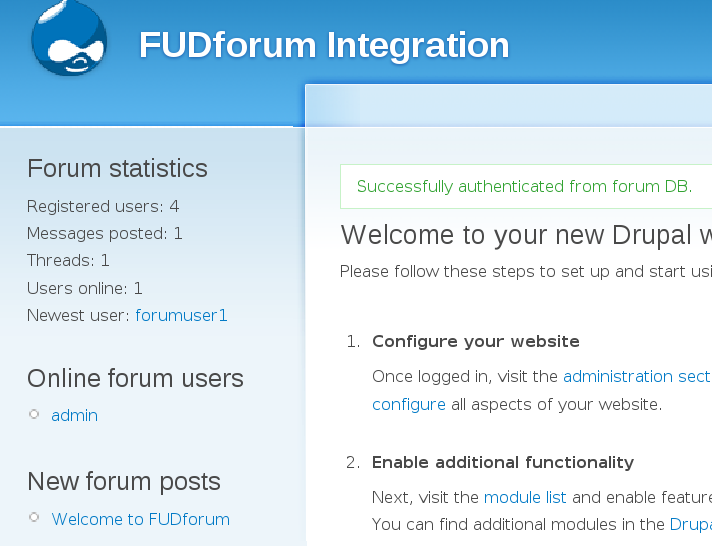 NOTE: Screenshot of FUDform's Drupal integration module in action. User authenticated from Forum DB. Note stats, online users and latest forum posts displayed as standard Drupal blocks. This page was last modified on 1 April 2010, at 09:19.